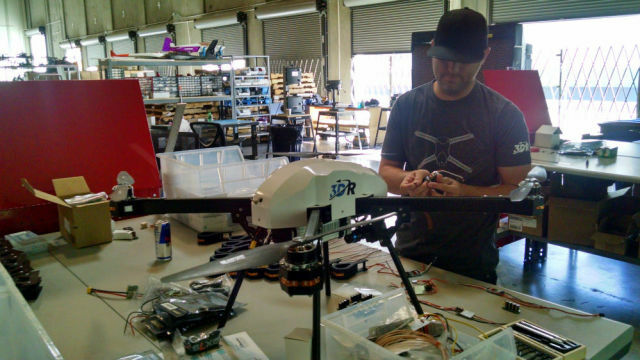 Drone maker 3D Robotics showed off its autonomous civilian drones on national Manufacturing Day with a flight inside its engineering facility in Otay Mesa. 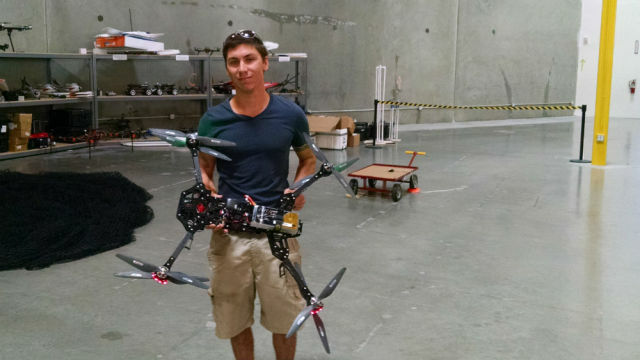 The Berkeley-based company employs 55 in a cavernous warehouse, where the drones can be tested indoors, and another 150 just across the border in Tijuana, where the devices are assembled. 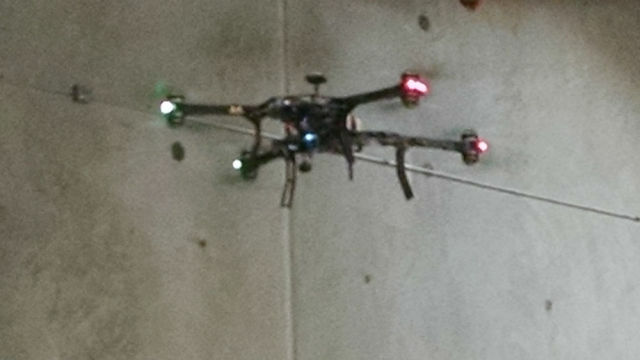 The company ships some 150 of its IRIS+ ready-to-fly drones daily, each priced around $750, depending on features. Customers include photographers, filmmakers, search-and-rescue units, farmers and hobbyists. “Everyone who buys a GoPro — that’s our target right now,” said project manager Alan Sanchez, referring to the popular line of action cameras made by a company started by UC San Diego graduate Nick Woodman. Sanchez said the warehouse space is ideal for testing because its wooden roof allows reception of GPS signals. “We can fly day and night inside,” he said. In addition to the helicopter-style IRIS+, the company also makes a winged drone called Aero that can stay aloft for an hour. 3D Robotics was one of more than 25 San Diego-area companies that opened their facilities for public tours on Manufacturing Day. The San Diego region is home to more than 2,900 manufacturers. Around 8.7 percent of jobs in San Diego County are in manufacturing, but it accounts for nearly 12.2 percent of the region’s wages, according to the San Diego Regional Economic Development Corp.